Triumph Tiger 100 , 500 cc . Despatched From The Factory ,To Bryant's Of Biggleswade , In November. 1946 And Registered In March 1947 . 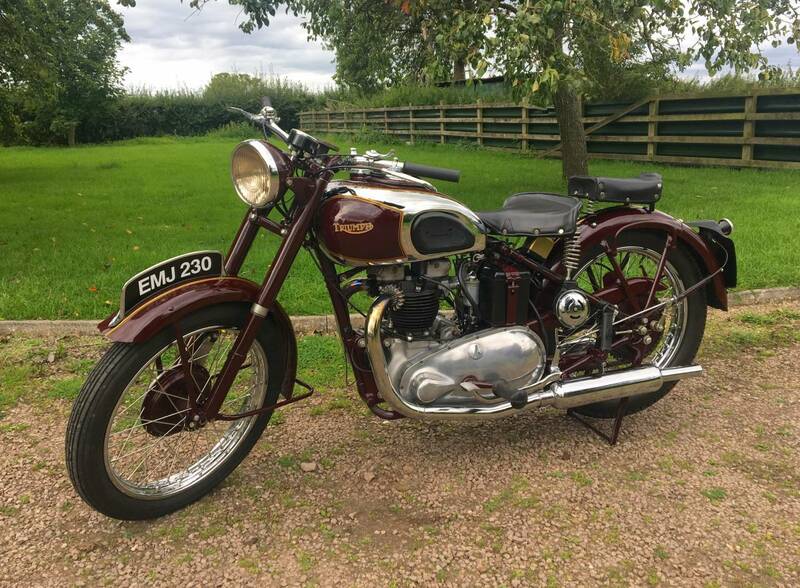 It's Extremely Well Restored , With Only 552 Miles On The Clock And Very Original , With All Correct Frame , Engine And Gearbox Numbers And With The Instruments In The Tank Panel , With Working Oil Pressure Gauge ; Showing Good Pressure And Working Inspection Lamp And Ammeter . Comes With It's Original , Transferrable Registration Number , Worth Approx £3000 ! But You Wouldn't .. Would You ! 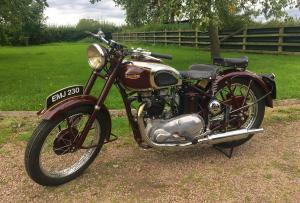 According To The Previous Keeper , A Few Were Made In Speed Twin Colours , As This One Is And If So , Is Very Rare . It Starts First Kick And Runs And Rides Very Well , For A 70 Year Old Machine ! These Early , Rigid , Post War Tiger 100's Are Rarely Available And Are Lovely To Look At And Ride . 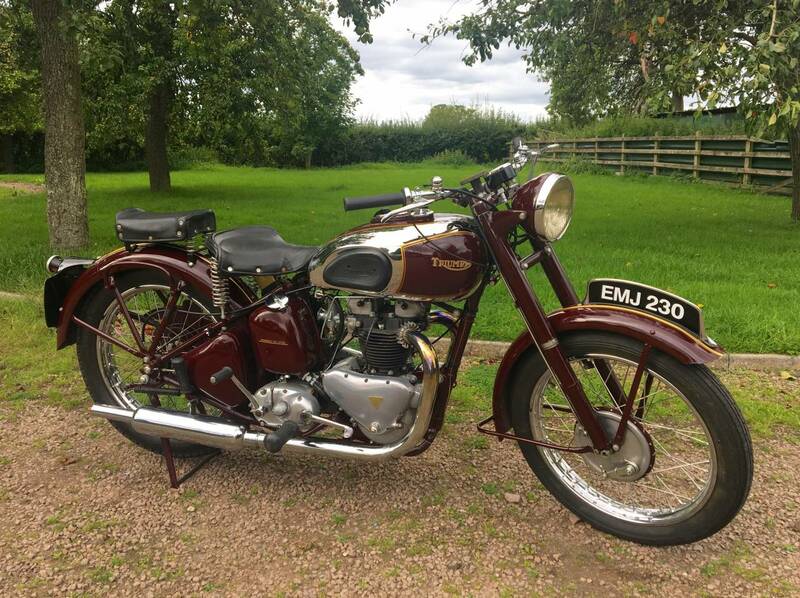 ( If This Were A 1939 ; Only 7 Years Apart And Rides Better ...Would Cost £20,000 ! ) One Of Our Personal Favourites And A Great Investment Too .